Per Soards City Directory 1935 and R.L. 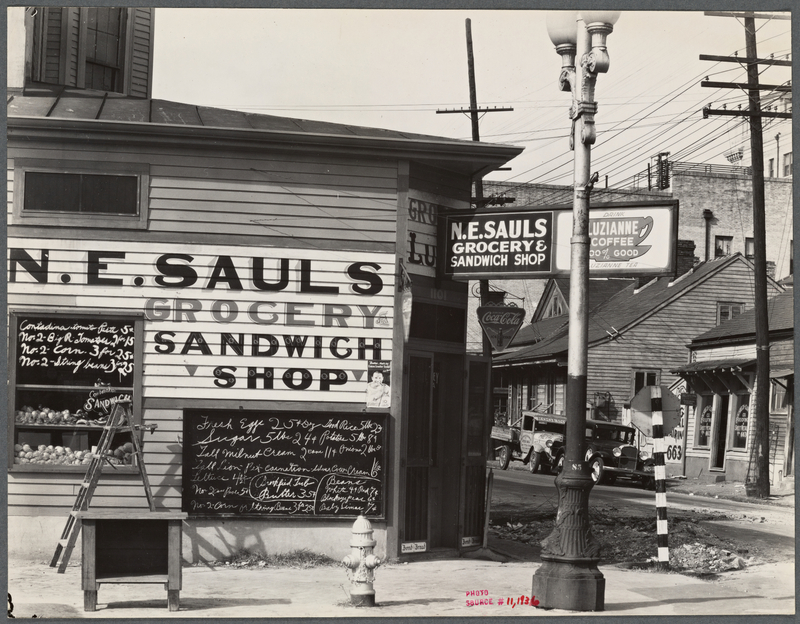 Polk Guide 1938 (confirming same information), Norman E. Sauls, grocery, 1101 Prytania Street. 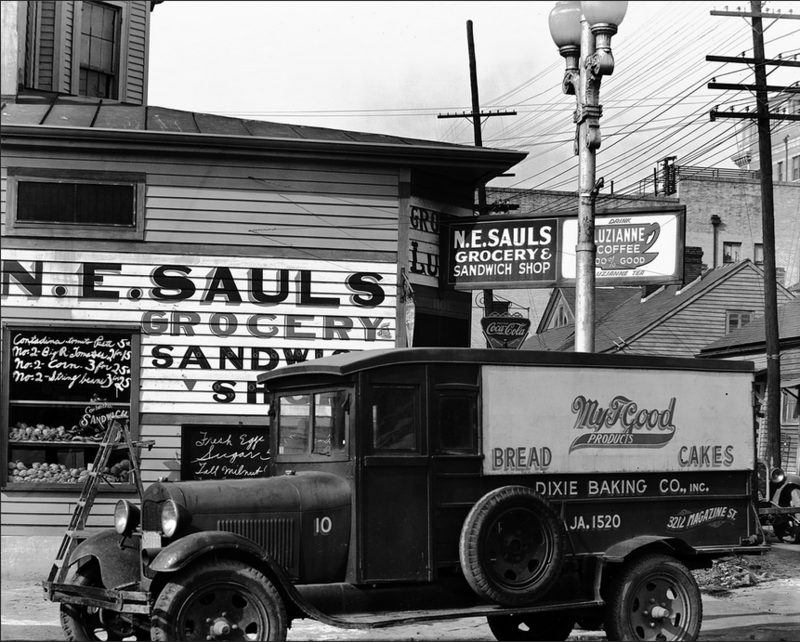 This was the uptown lake corner of Prytania and Caliope Street. Building no longer exists; location is as of 2010 under the elevated highway of the Pontchartrain Expressway ramp to the Crescent City Connection Bridge. I think the high-rise building visible at the top right is the Bienville Hotel. Great look into the 1930s! Thanks for the wonderful distraction, gentlemen!